Remove the right front wheelhouse liner extension. Refer to Front Wheelhouse Liner Inner Front Extension Replacement. Remove the oil filter and drain the engine oil. Refer to Engine Oil and Oil Filter Replacement. Remove the front insulator cover. 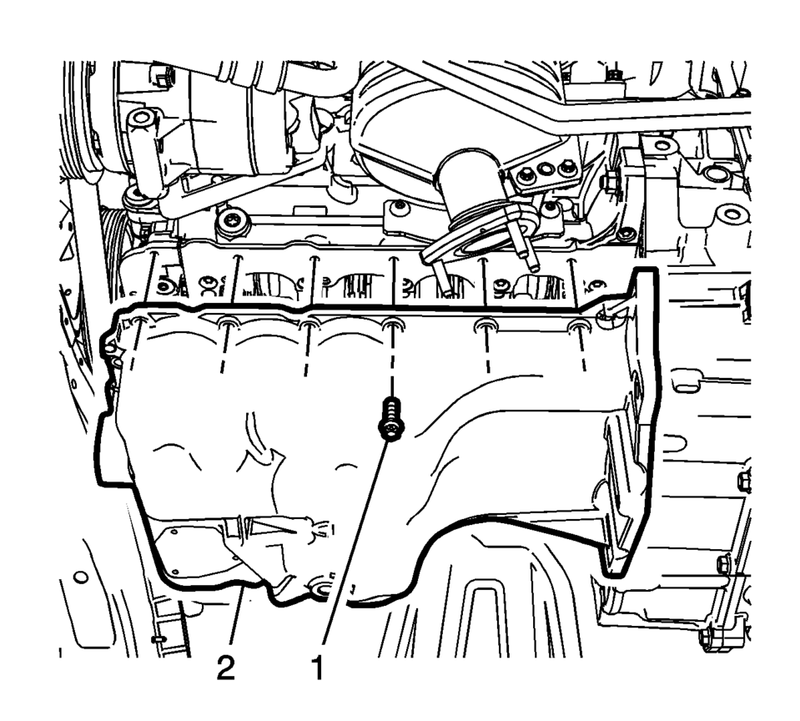 Refer to Front Compartment Front Insulator Cover Replacement. Remove the front exhaust pipe. Refer to Exhaust Front Pipe Replacement. The intermediate shaft is shown removed for visual purposes only. 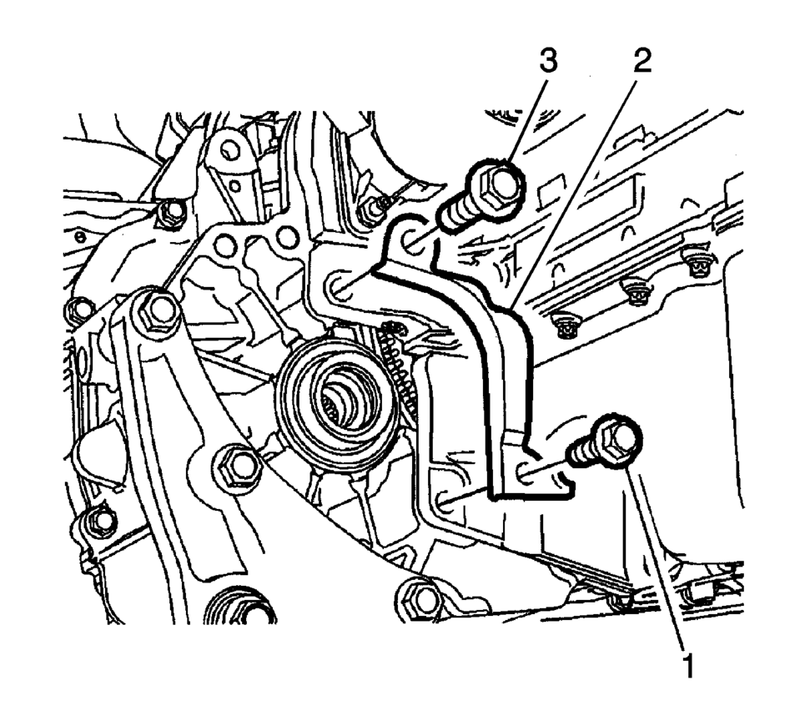 If equipped with an automatic transmission, remove the oil pan to automatic transmission bolts (1, 3) and automatic transmission converter cover (2). 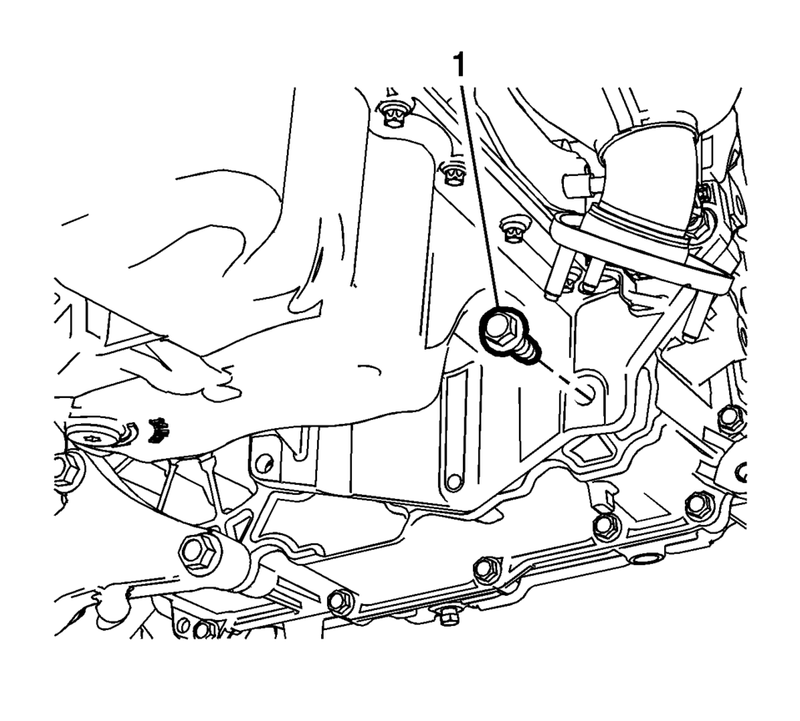 Remove the oil pan to automatic transmission bolts (1) . 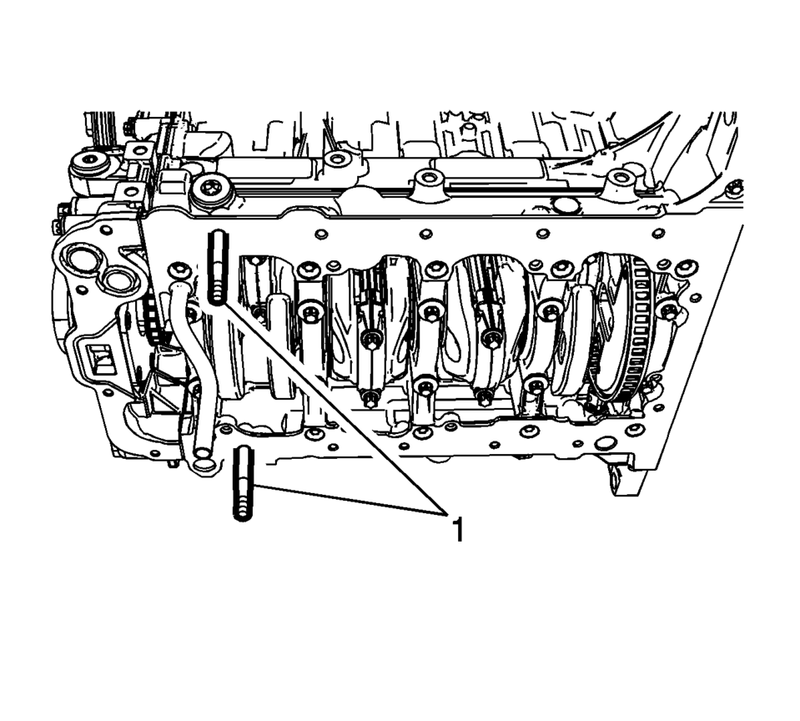 If equipped with manual transmission, remove the 3 manual transmission to oil pan bolts (1). Remove the oil pan bolts (1) and oil pan. Clean the sealing surface of crankshaft bearing cap tie plate and the groove in the engine front cover from old gasket material, oil, dirt and grease. 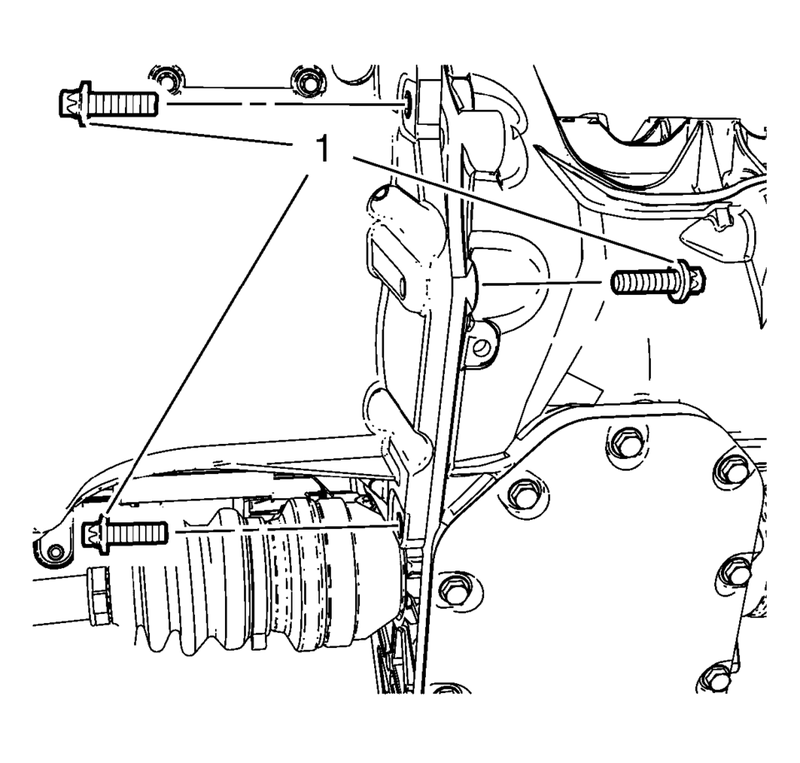 Install the 2 EN-49980 guidance pins (1) to the shown oil pan screw bores. The sealing bead should be applied close to the inner edge of the oil pan. Take care that the oil suction gallery (4) will not get contaminated with sealing compound or dirt. thickness of sealing compound (3, 2, 1). The complete installation procedure of the oil pan should be done in 10 minutes. Loosely install the oil pan bolts (1) in all but the guidance pin locations. Remove the EN-49980 guidance pins and install the remaining oil pan bolts. Install a NEW oil filter and fill the engine with oil. Refer to Engine Oil and Oil Filter Replacement. Install the exhaust pipe. Refer to Exhaust Front Pipe Replacement. Install the front insulator cover. 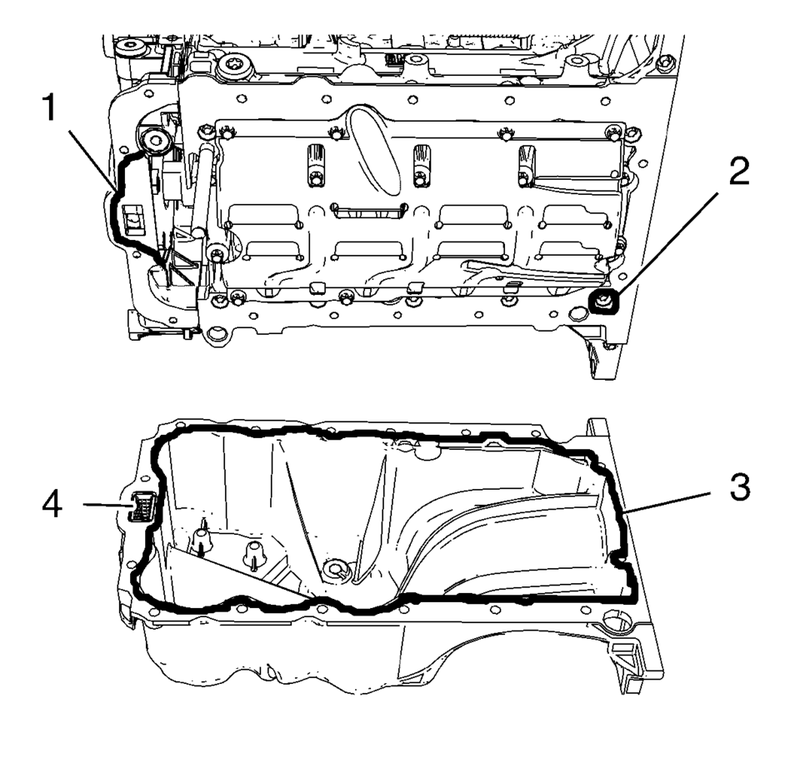 Refer to Front Compartment Front Insulator Cover Replacement. Install the right front wheelhouse liner extension. Refer to Front Wheelhouse Liner Inner Front Extension Replacement.